Almost 100 miles away from mainland Britain lies a group of sun-kissed islands. The archipelago, known as the Channel Islands, are far south of mainland Britain yet only 14 miles from the coast of Normandy, France. With its location along the French coastline, it’s hard to believe you’re in British territory. This week, we’re going to explore more secrets of the UK. Steering clear from the summer tourist trail, the Channel Islands are far from being a tourist hotspot. Few people make it here and those who do are often blown away by the natural beauty of the isles: think turquoise beaches, hiking trails and sun-kissed shores. Blessed with a temperate climate, the islands see mild winters and cool summers, perfect for outdoor travelers. The Channel Islands are an archipelago of British Crown Dependencies made up of various tiny isles, among which Jersey stands out for its impressive landscapes and nature. It’s easy to see why Jersey is the most popular island for visitors. Surrounded by the Atlantic Ocean, you can get gorgeous sea views from virtually every point on the island. Jersey’s terrain is sculpted beautifully by nature, featuring a plateau sloping from long sandy bays in the south to rugged cliffs in the north. Dramatic valleys cut through the island in a north-south direction. The coastline is unpredictable: ranging from majestic cliffs to wide sandy beaches to secret rocky coves. What’s most intriguing about Jersey is its tide: the island actually grows and shrinks twice a day as the tide ebbs and flows in excess of 12 m – one of the highest tidal ranges in the world. 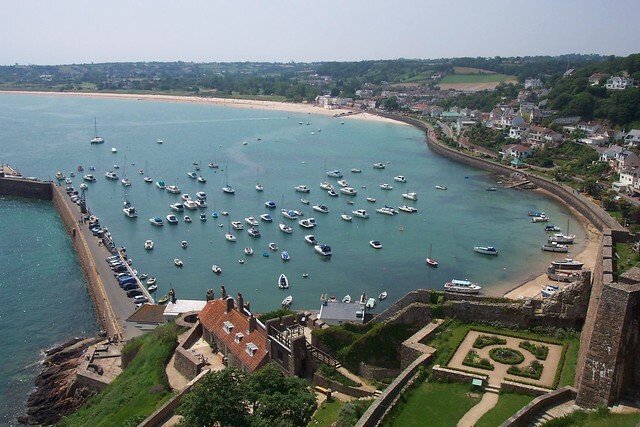 Albeit small in size, Jersey is packed with historical monuments, museums and stunning bays and beaches. 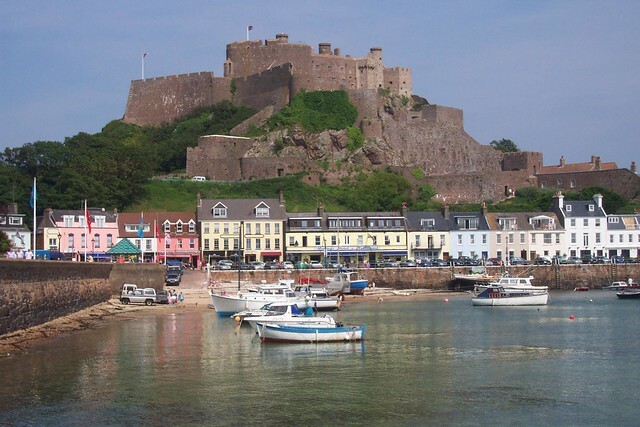 The imposing Mont Orgueil Castle stands majestically above the Gorey Pier and offers a stunning view of the coastline. History comes to life at Mont Orgueil Castle, which for 600 years protected Jersey against French invasion. Explore the network of staircases, towers and rooms to discover hidden treasures. Built on a rocky islet in the sweeping St Aubin’s Bay, the Elizabeth Castle retains a strong sense of regal grandeur despite centuries of presence. The castle is accessible at low tide by foot or the castle ferry which will transport you across the bay to and from the castle. The Jersey War Tunnels tells the true story of the Occupation of Jersey during World War Two. The tunnel complex, formerly known as Höhlgangsanlage 8 (Ho8), is made up of a series of galleries detailing Occupation history. It is one of the island’s most popular tourist attractions as well as an important site of heritage conservation and interpretation. 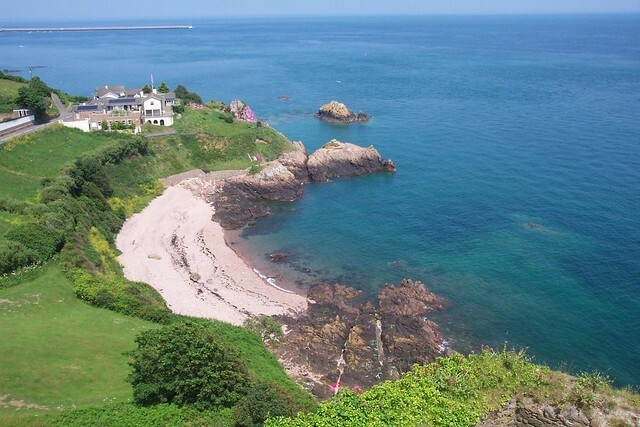 Thanks to its proximity to Normandy, traveling to Jersey is relatively convenient and easy via budget airlines. There is a myriad of hotels in Jersey to suit travelers of different budgets – from the plush L’Horizon Spa and Hotel to the humble and affordable Beachcombers Hotel. It’s a matter of time before travelers discover this gem of an island, so be sure to get there before the others do! This post originally appeared on WildJunket Travel Blog. Photos courtesy of Paula Funnell.